Truths About Fat Burners You Must Know To Lose Your Weight In The Most Effective Way! Fat burners can be indeed the most efficient way to facilitate weight loss if used wisely. 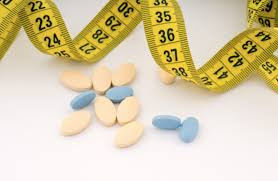 This class of the diet pills promotes your weight loss by improving your body’s capacity to expend the fat. A hastened metabolic rate is very essential to ensure that the fat cells are quickly and easily burned. There are numerous fat burners available in the market today. Before you choose any particular brand, you need to know some truths about them. So, here are some top truths about the fat burners you should definitely know about, before opting for any one. You must stay realistic with your weight loss expectations. If you are thinking that just by using fat burner, you are going to lose ample of pounds each week, it is never going to happen that way. In fact, a safe rate of the fat loss is around 1-3 pounds in a week for healthy individuals. If you want to look like a toned fitness model or a bodybuilder rather than a shapeless coat hanger, then you must rethink or re-evaluate your fat loss plan sensibly. Many people think that taking just a fat burner can eventually bring them the desirable results. It is one of the most common mistakes that people make. They consider fat burner to be a miracle solution. However, you should definitely know that a calorie restricted diet is equally important for you to achieve the desirable results. If you stay consistent with your diet, then you have already done 80% of your work! Fat burners help you to enhance your fat loss, but they will work only when combined with a proper diet. They work in many ways. They help in boosting up energy, in curbing the appetite, increasing the metabolism to help you burn more calories in a day. Skinnycafe offers you the best quality fat burners that are specifically designed to give proper doses of different ingredients to support your fat loss desire. Now that doesn’t indicate that the more ingredients you take, the more quality outcome you will notice. The manufacturers of the supplement specially print serving directions and guidelines to help you identify what amount of dose works the best for you, on their packs. It is recommended to start with low dose that is listed on package and stick to it for minimum 2 weeks. You can then decide if you want to jump to higher dose if that is listed on packaging. Once you pick up the fat burner for you, give it about 2-3 weeks before you measure the progress. You should definitely assess your progress thereafter. It is really important to see the results to know if the product is helping you out. For assessing the results, you should clearly know the point where you started. SkinnyCafe is the best name when it comes to offering top quality health and wellness products. Visit their website to know how you can lose your weight with the most efficient fat burners available.